bomb, but its lots of fun. 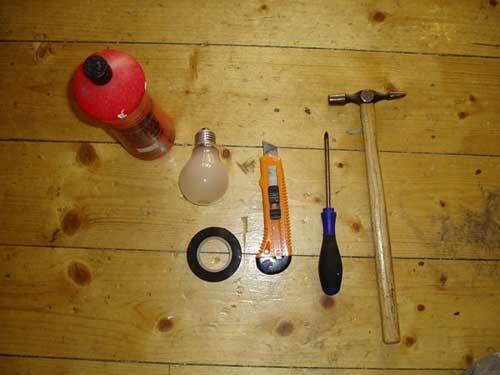 You need a used light bulb (usually screw fittings are the best), small hammer, screwdriver, stanley knife, pvc tape, clay or similar and of course some paint. 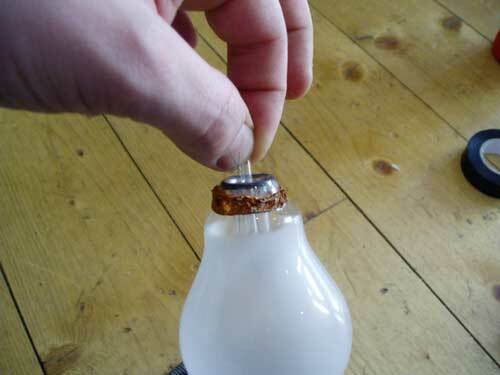 2. snap the little glass cylinder on the inside of the bulb. 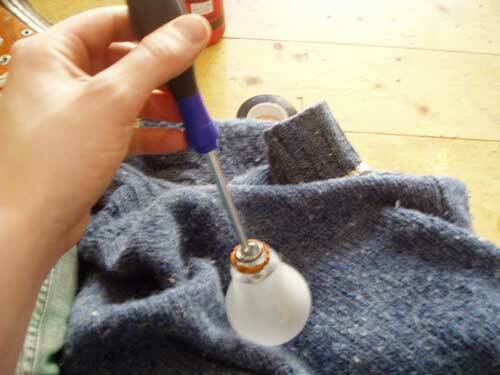 3. place bulb on a soft underlay, and make a hole in the inside glass divet by gently hitting the screwdriver with the hammer. 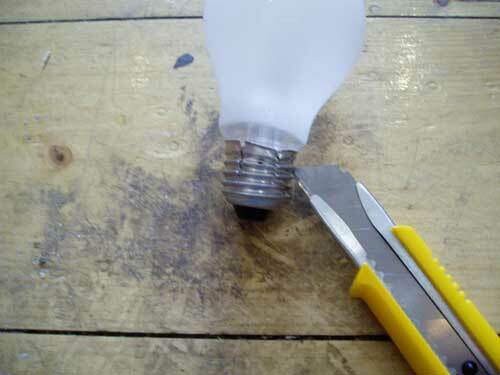 5. seal the hole on top of the bulb. Clay works quite well for this. 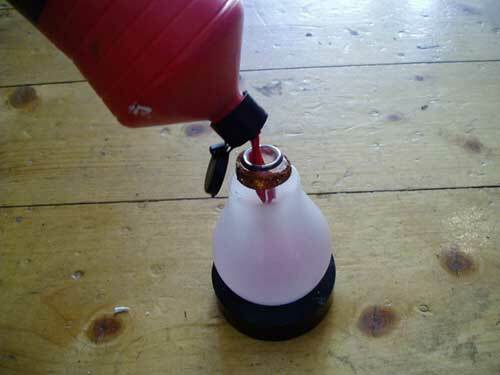 Then replace the meta; fitting, and seal with pvc tape. 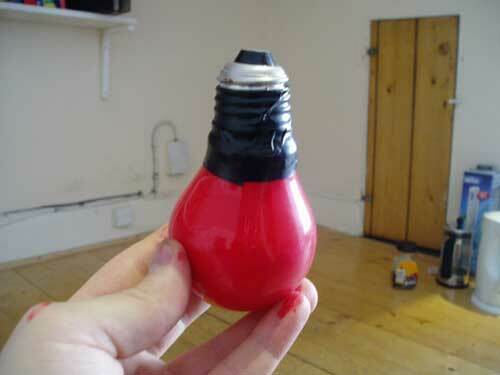 6. go and throw your paint bomb at a nice white wall.